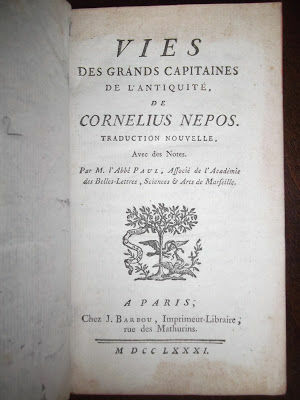 Cornelius Nepos (abbé Paul traducteur), Vies des grands capitaines de l’Antiquité. Paris, J Barbou, 1781. Duodecimo, XI+(1)+371pp. 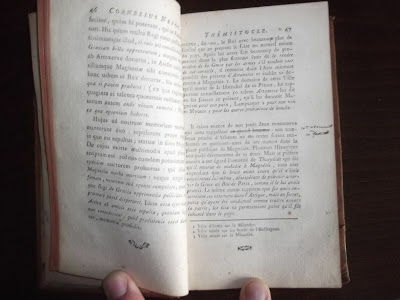 First edition of the translation, bilingual Latin-French edition. 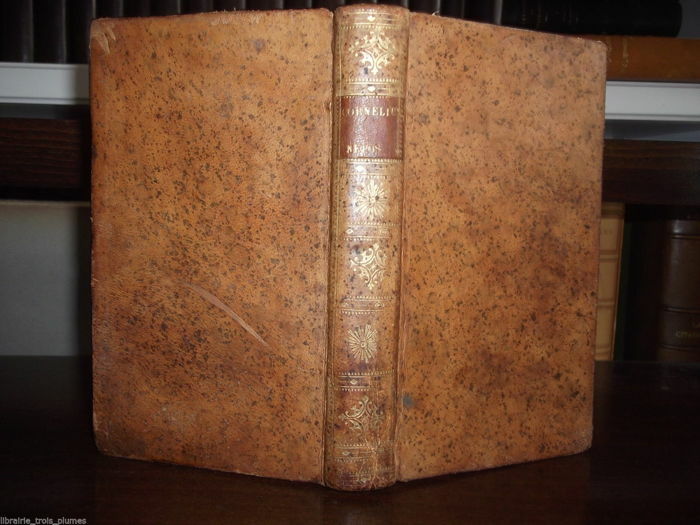 Full sheepskin binding, spine with adorned raised bands, title label in morocco, red edges Light general yellowing of the paper, a leaf torn and restored.